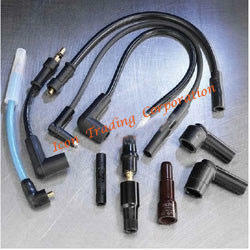 Our range of products include ignition cable & copper lug. Owing to our wide wide expertise we are involved in supplying and trading superior quality Ignition Cable and Copper Lug. Our offered products are well accepted in the market for their high performance aspects for prolong duration of time, owing to their procurement from renowned vendors. In addition to this, we ascertain procured products' performance by inspecting them under strict quality norms. Looking for FBR Burner Parts ?